From here on out, winter could basically be over. Temps will run well above normal for the next 10+ The only possible cool down appears to occur around march 21st, but even then it will be modest. The map on the left shows the max temp for the next week. 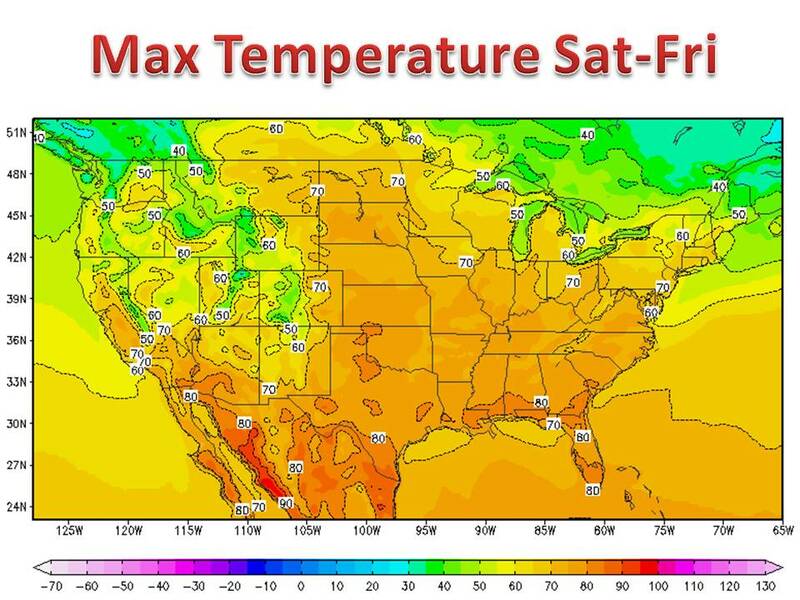 The 70 degree line should be lifted north to include Green Bay and Minneapolis.